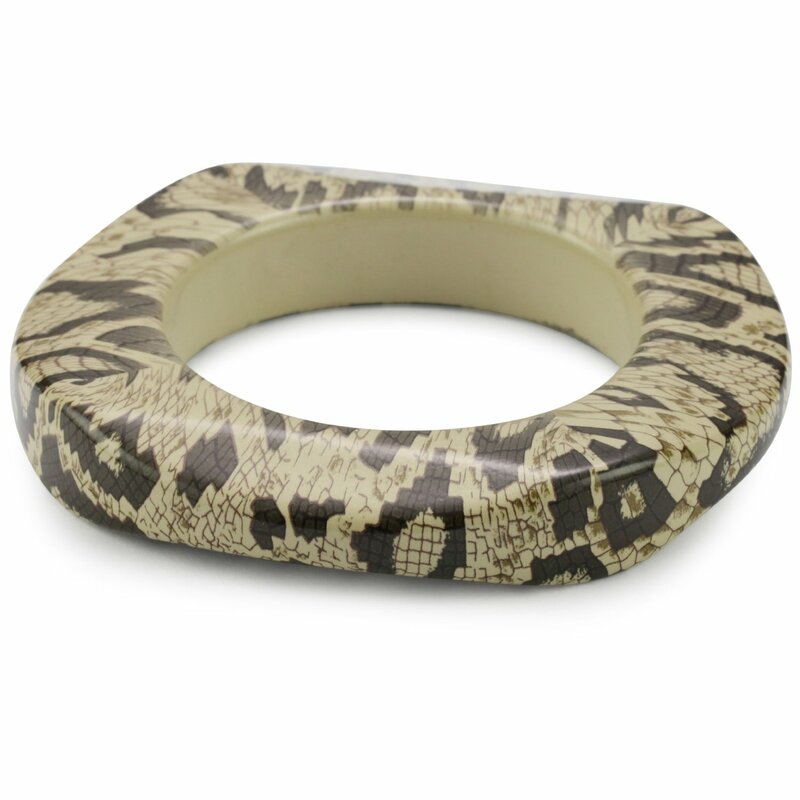 Innovative, gifted and imaginative, this Snake print bangle will be a great accessory to add a little “wild’ to your outfit. Kenneth Jay Lane’s fabulous costume jewelry is always made in the USA. The designer’s creations are inspired with the everyday woman in mind. Kenneth Jay Lane’s collections offer imaginative, inspiring pieces that have found their way into the wardrobes of such fashion icons as Sarah Jessica Parker, Audrey Hepburn, Jackie Onassis, and Nicole Kidman. But even with such a laudable assembly of followers, the designer’s focus is not on the celebrity. This iconic, exquisite costume jewelry is accessible for the everyday woman, allowing her to accessorize elegantly for work, daytime, and evening.